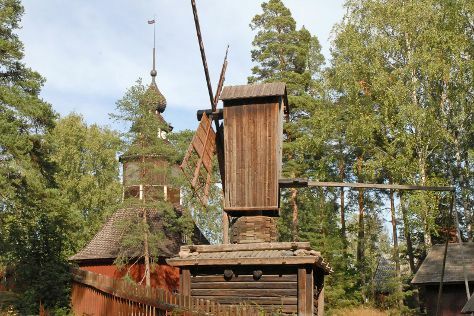 Discover out-of-the-way places like Seurasaari Island and Open-Air Museum and Kansallisgalleria. Take a break from the city and head to Bellevue Beach and Arboretum Mustila. Change things up with these side-trips from Helsinki: Nuuksio National Park (in Espoo), Sipoonkorven Kansallispuisto (in Vantaa) and Castle Hill (in Porvoo). There's much more to do: browse the exhibits of Sea Fortress Suomenlinna, take in the spiritual surroundings of Uspenskin Cathedral (Uspenskin Katedraali), get a new perspective on nature at Natural History Museum (Luonnontieteellinen Museo), and explore the striking landscape at Hiidenvuori. To see photos, maps, other places to visit, and more tourist information, read our Helsinki route maker site . If you are flying in from Italy, the closest major airport is Helsinki Vantaa Airport. In July in Helsinki, expect temperatures between 25°C during the day and 15°C at night. Finish up your sightseeing early on the 24th (Wed) so you can travel back home.